Video games make me hungry. Well, everything makes me hungry, but video games frequently make me hungry because pretty much everything I notice in them reminds me of food, even the non-food objects. I swear the orbs in Devil May Cry and the health beads and munny in Kingdom Hearts give me the craziest craving for fruit gummy snacks. 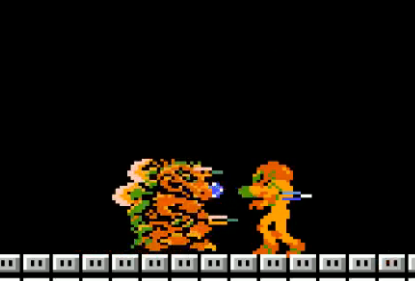 And then there's Metroid... pretty much every enemy and environment in that series makes me think of food, whether it's tomato soup lava levels, or floppy pizza-like chute leeches in Metroid II. I've already made yummy fangy raspberry metroid cupcakes for Caleb's birthday last year. But then, there's nothing like Kraid. 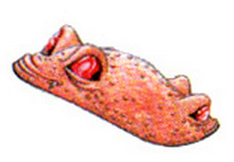 He's the human-sized chubby crocodile that shoots things at Samus in Metroid I. While he himself doesn't really remind me of food, it's the things he shoots that get my tummy grumbling. During the game, he paces back and forth hurling his spikes at Samus. The spikes that come from his front are shaped like little syringes, but it's the spikes from his back, the ones shape like little crescents that I love. It weird, I know, but whenever I see them, I get an instant craving for cashews (they seem cashew-shaped and -colored to me). I get a hankering for some kind of cashew treat, so I decided to try out a cookie recipe to nom the next time Caleb does a Metroid run. 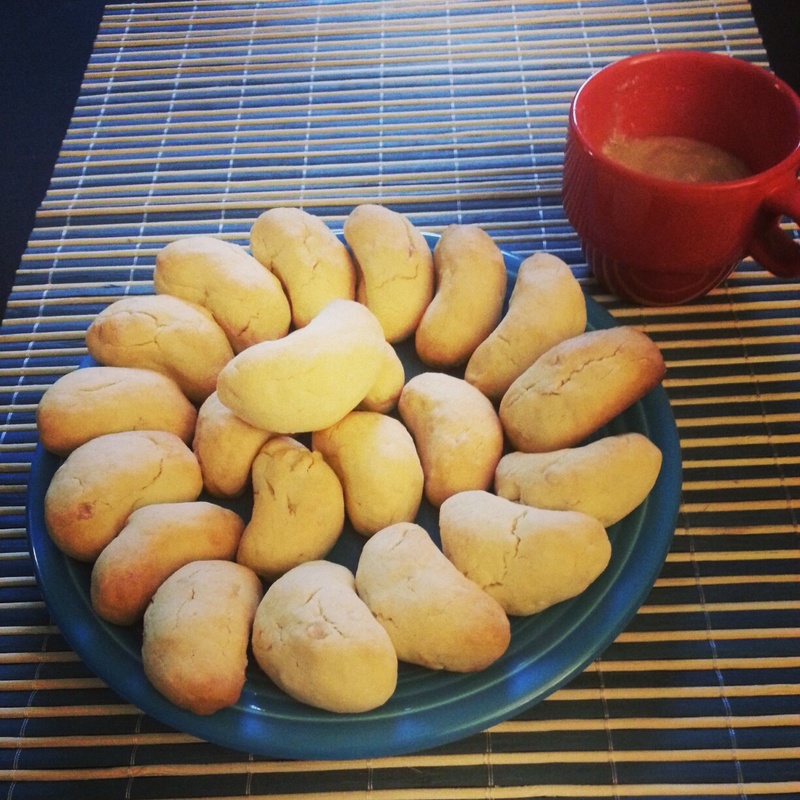 This recipe is based on Mexican wedding cookies, which some people make with pecans, some with almonds, and others with walnuts. Of course, I wanted cashews. This recipe is vegan, but really, the only difference between a vegan cookie and a non-vegan cookie is the "butter" part: use regular butter for non-vegan and butter substitute for vegan. 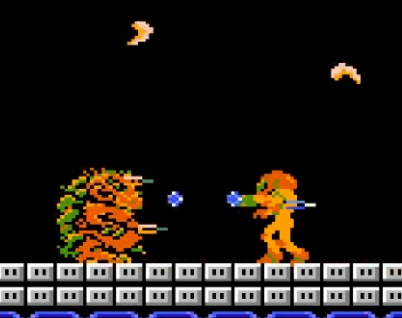 Kraid shoots delicious cashew things at Samus! In a medium bowl, cream together the butter and powdered sugar. Word to the wise: don't use an electric mixer to do this, unless you prefer your powdered sugar in the form of a big sugary, cloudy mess in your kitchen. 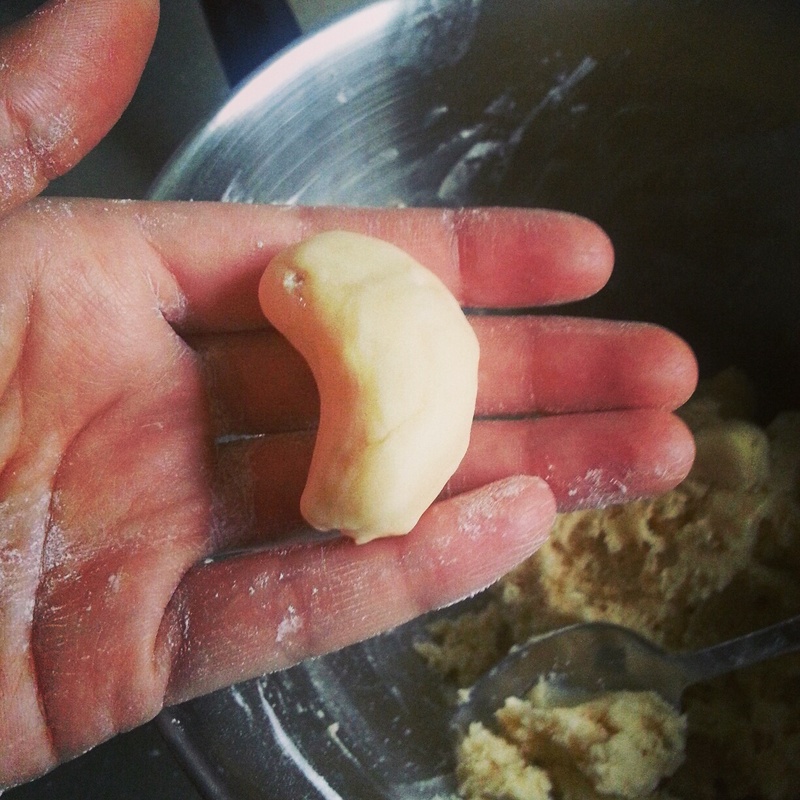 In a separate bowl, mix together the flour and cashews. Add the flour mixture to the butter mixer and combine (again, do this by hand, especially if you are using light and fluffy pastry flour). Add the almond milk a little at the time to get the right texture. 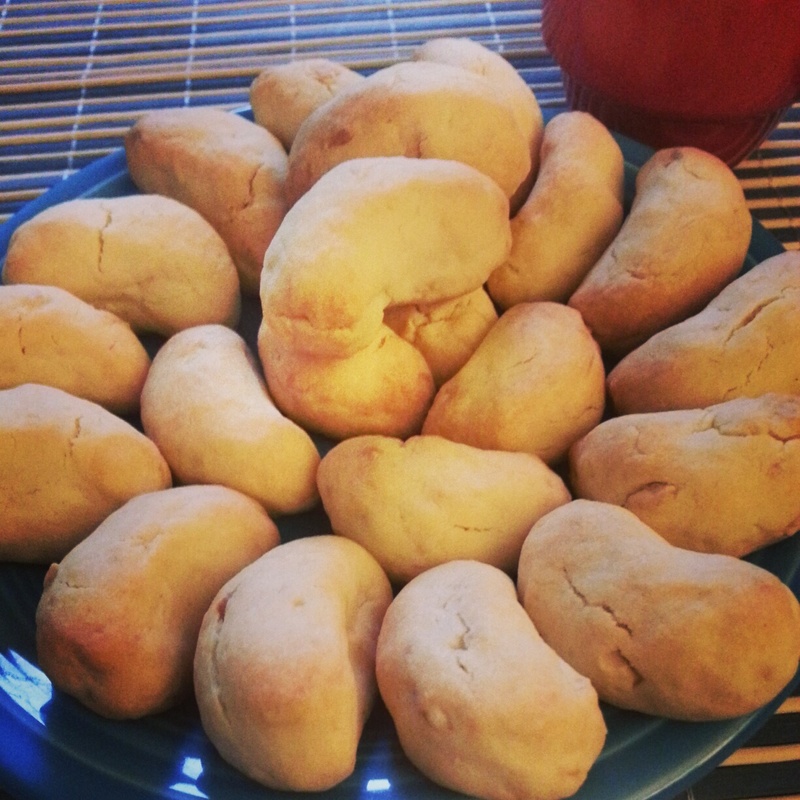 The dough should be soft but not too sticky, and should hold its shape well. Dust hands with extra flour. Scoop small spoonfuls of the dough into a ball. 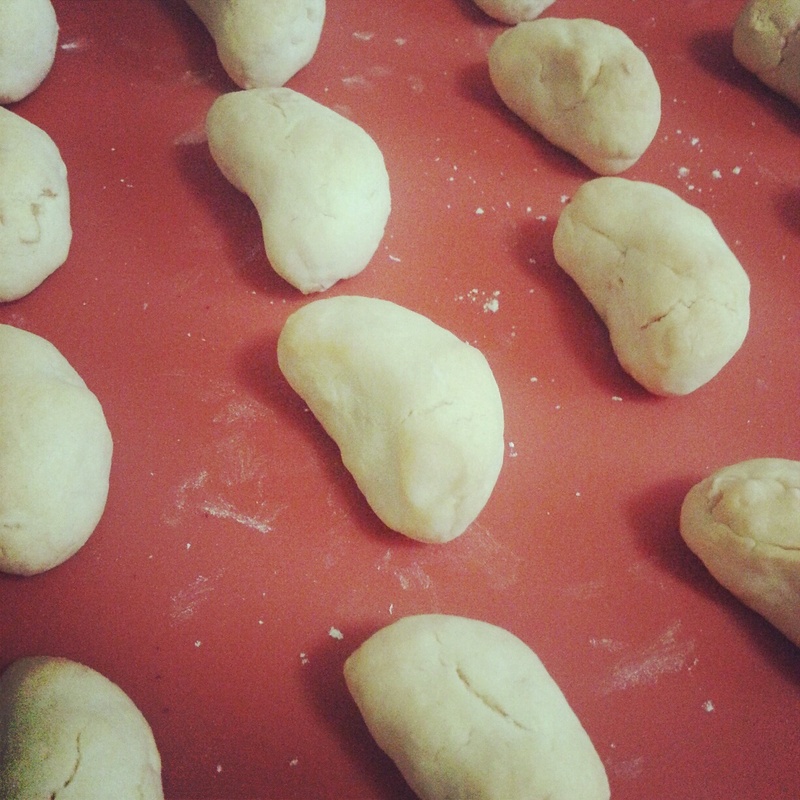 Work one ball at a time to shape the dough into cashew shapes (crescents). This batch makes about 22 - 24 small cookies. Place on a baking sheet and bake 24 - 30 minutes, or until they are golden brown (mine were perfect after 27 minutes). While the cookies are baking, you can make the cashew icing. In a food processor, grind together cashews and coconut oil. Add the almond milk. Add the powdered sugar 1/4 cup at a time, to taste and texture.